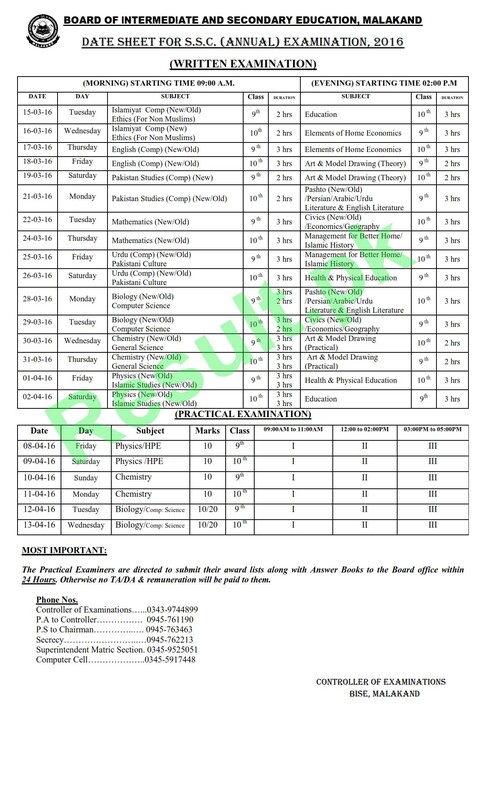 Board of Intermediate and Secondary Education Malakand will conduct the annual exams of matric class part 1 and 2 for the year 2018 2019. 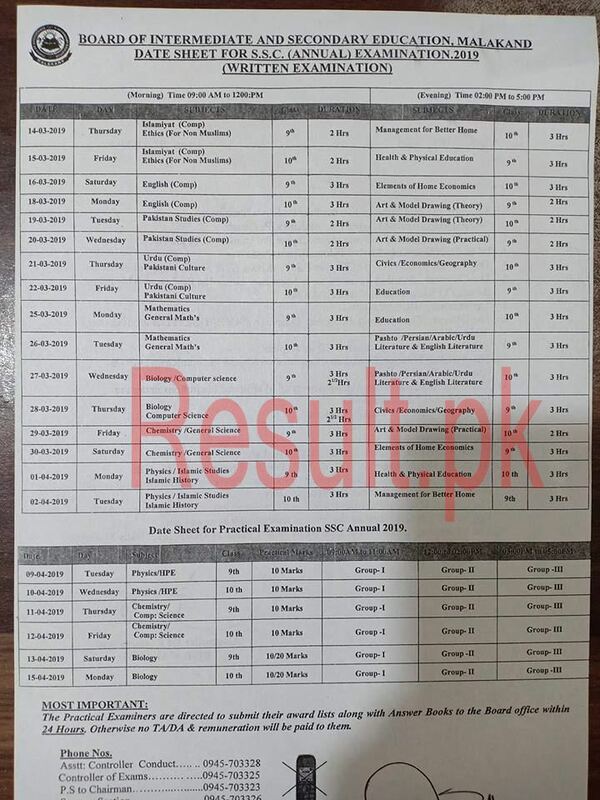 It is expected that Malakand Board will start functioning for the SSC annual exams for the year 2018 2019, which will be held in March 2018 2019. 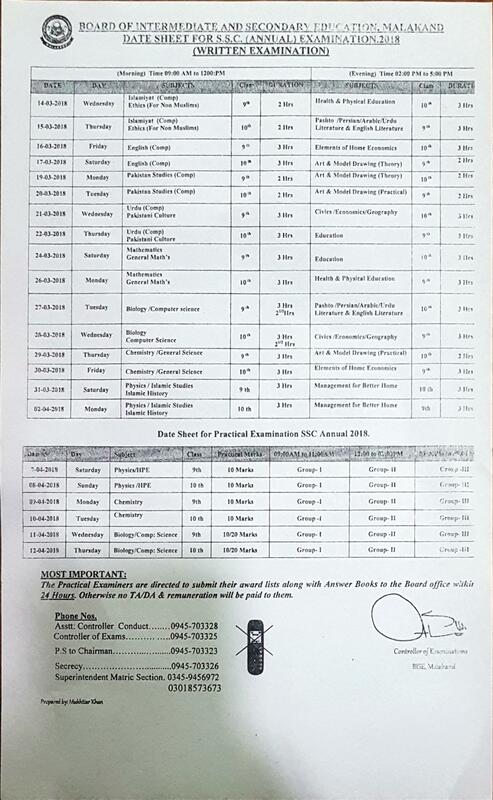 To enable the students to appear in the annual exams of 9th and 10th class, Malakand Board will issue the roll number slips and date sheet to the candidates in February 2018 2019. 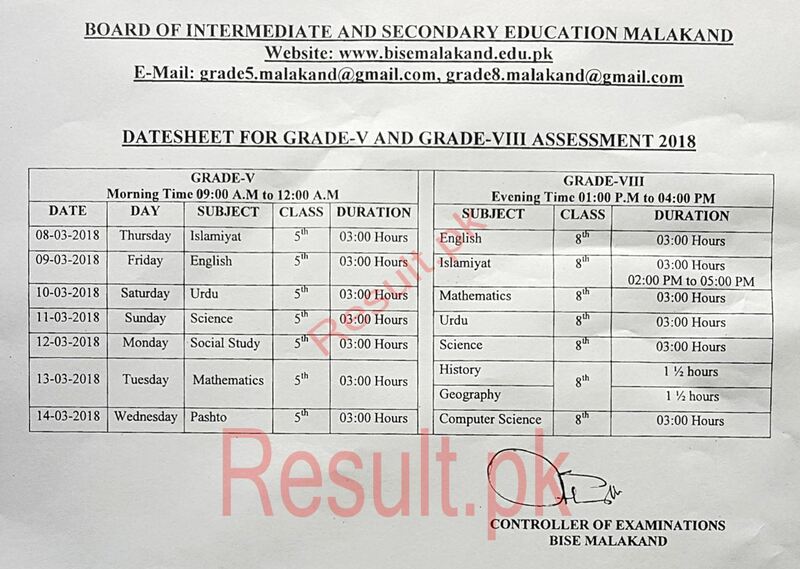 Malakand Board has its own website, www.bisemalakand.edu.pk, on which the date sheet of the annual exams will be uploaded for the information of the students. 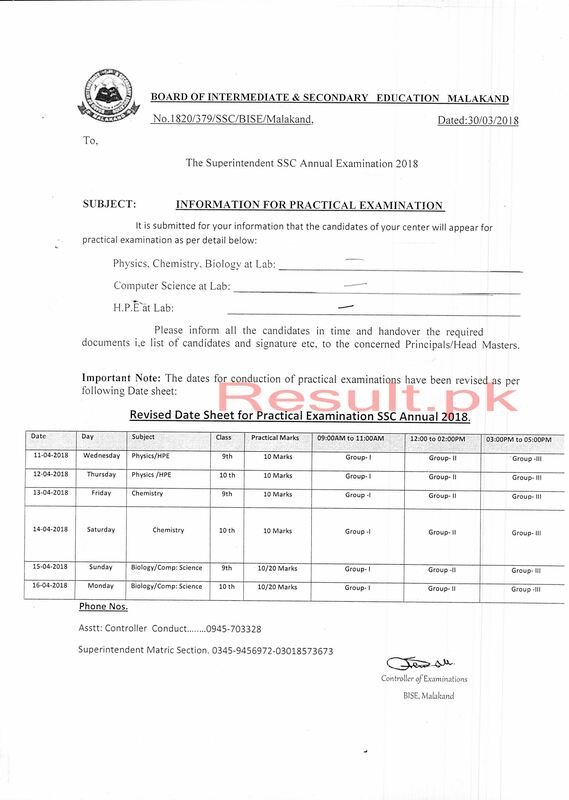 Now at this moment, Malakand Board is receiving the admission forms from the candidates, who want to appear in the annual exams of matric class part 1 and 2 for the year 2018 2019.